Mattel to Expand its Playing Field with Acquisition of MEGA Brands | Mattel Inc.
EL SEGUNDO, Calif. & MONTREAL--(BUSINESS WIRE)-- Mattel, Inc. (NASDAQ: MAT) and MEGA Brands Inc. (TSX: MB, MB.WT, MB.NT) announced today a definitive agreement for Mattel's acquisition, through a wholly-owned subsidiary of Mattel, Inc., of MEGA Brands for US$460 million. The acquisition advances Mattel's global growth strategy of building upon its world-class portfolio of brands by expanding into two of the fastest-growing toy categories. MEGA Brands, a family of leading global brands, is the No. 2 player in the $4-billion construction building sets category1 with its MEGA BLOKS brand as well as a competitor in the $2-billion arts & crafts category2. "A key pillar of our global growth strategy is the strategic acquisition of brands that will both benefit from our scale and help extend our reach into new and growing categories," said Bryan G. Stockton, Mattel Chairman and CEO. "The construction play pattern is popular, universal and has had one of the fastest growth rates over the past three years. We look forward to helping MEGA Brands accelerate its global growth, providing more choices for more children and their families." Mattel's world-class portfolio of brands will complement MEGA Brands' flagship MEGA BLOKS® and existing licensed brands, such as HALO®, Skylanders®, Call of Duty®, Assassin's Creed®, Power Rangers®, Hello Kitty®, SpongeBob SquarePants® and others. The acquisition will give Mattel the opportunity to broaden its relationship with its entertainment partners. "MEGA Brands has built leading positions in large, growing categories by providing engaging creative experiences for children and families through innovative, well-designed and high-quality products, and Mattel is the ideal partner to take our brands to the next level," said Marc Bertrand, MEGA Brands President and CEO. "We are confident Mattel's scale and global platform spanning 150 markets - combined with the expertise of our people in the construction and arts & crafts categories - will create tremendous growth opportunities for our brands." Founded and based in Montreal, MEGA Brands has approximately 1,700 employees in 17 countries. Mattel plans to maintain MEGA Brands' expertise in manufacturing, both in Montreal and Tennessee, and plans to maintain the MEGA Brands headquarters in Montreal and will seek to tap into MEGA Brands' proven skills in design and development in the construction and arts & crafts categories. "At Mattel, we have followed a consistent philosophy on acquisitions - we seek to create value by building on the foundations of the great businesses we have acquired while retaining and nurturing the core values, talents and unique capabilities that made them great," Stockton said. "We will approach our new brands and colleagues at MEGA Brands with great respect for what they have built and enthusiasm for what we can build together." The terms and conditions of the arrangement will be summarized in MEGA Brands' management information and proxy circular, which will be filed and mailed to MEGA Brands shareholders in March 2014. In conjunction with the announcement, Mattel will webcast a Securities Analyst and Investor conference call at 8 a.m. Eastern time today. The conference call will be webcast on the "Investors" section of Mattel's corporate website: http://www.corporate.mattel.com/. To listen to the live call, log on to the website at least 15 minutes early to register, download and install any necessary audio software. An archive of the webcast will be available on Mattel's website for the next 90 days and may be accessed beginning two hours after the completion of the live call. A telephonic replay of the call will be available beginning at 11 a.m. Eastern time on February 28 until March 7 at midnight Eastern time and may be accessed by dialing (404) 537-3406 . The passcode is 6286841. 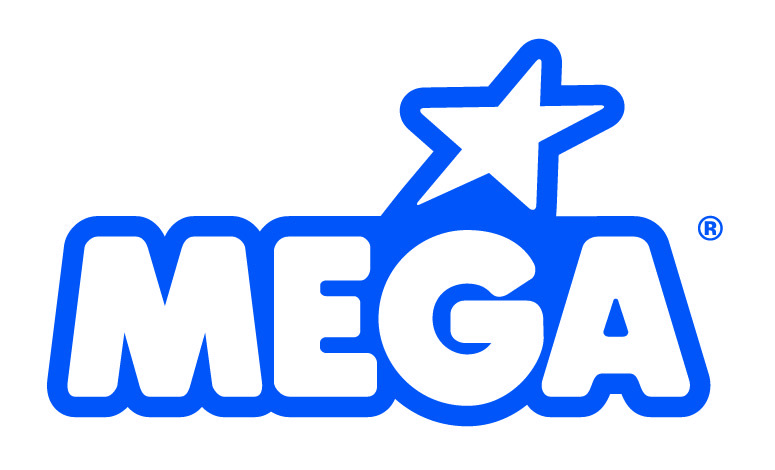 MEGA Brands will hold a conference call for securities analysts, investors and media at 9:30 a.m. Eastern time today. Participants may listen to the call by dialing (514) 807-9895 , or 1 (888) 231-8191 . For those unable to participate, a replay will be available until March 7, 2014. The replay phone number is (514) 807-9274 or 1 (855) 859-2056 , access code 6427359. All statements in this press release that do not directly and exclusively relate to historical facts constitute forward-looking statements. Statements relating to the expected benefits of the proposed transaction and Mattel's post-transaction plans, objectives, expectations and intentions are examples of such forward-looking statements. These forward-looking statements are based on the current beliefs, expectations and assumptions of Mattel and MEGA Brands management with respect to future events and are subject to a number of significant risks, uncertainties and factors that could cause actual results to differ materially from those expressed or implied by them, including, without limitation, uncertainty as to whether and in what timeframe the transaction will be completed; the risk of failure of either party to meet the closing conditions set forth in the definitive agreement; the ability to retain key personnel both before and after the transaction closes; the extent and timing of regulatory approvals; ongoing relations between MEGA Brands and its suppliers, customers and other parties; and costs and other issues with respect to integrating MEGA Brands, its products and its employees with Mattel and achieving expected synergies. Additional factors that may cause results to differ materially from those described in the forward-looking statements are described in Mattel's periodic filings with the Securities and Exchange Commission, including the "Risk Factors" section of Mattel's Annual Report on Form 10-K for the fiscal year ended December 31, 2013 and Mattel's Quarterly Reports on Form 10-Q for fiscal year 2014, as well as in Mattel's other public statements and MEGA Brands public filings with the Canadian Securities Administrators available at www.sedar.com and on the MEGA Brands' website including, in particular, the "Risks and Uncertainties" section of MEGA Brands Management Discussion and Analysis ("MD&A") for the year ended December 31, 2012, and updated information found in its MD&A for subsequent interim periods. Readers are cautioned not to place undue reliance on these forward-looking statements. Neither Mattel nor MEGA Brands updates forward-looking statements and expressly disclaims any obligation to do so except as required by applicable law.